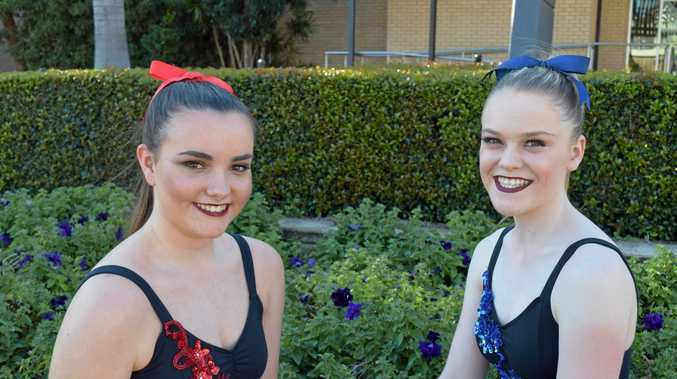 SECOND time has been the charm for Jamie Marquis and Claire Laffey, who claimed first place in the 18 years and under duo category at this year's Eisteddfod. Having only started dancing in partnership last year, Ms Marquis said winning was a great step forward for the pair in their second year working together. "We got second all last year, and we're winning all this year,” she said. The pair, who both dance at Focus on Dance in Gympie, said they decided to perform routines as a duo after noticing their dance techniques complemented each other. "We found our styles really similar,” Ms Laffey said. While the pair are thrilled with their success so far, Ms Laffey said they are dreaming of bigger and better things in the future once. The duos routine was performed to 99 Red Balloons, mixing props with contemporary dance to tell the story of two friends going off to war. Their success is only the start of a busy schedule for them with several more performances still to come for them, both as a duo and on their own. The Eisteddfod is running at the Gympie Civic Centre until August 5.